Ideal scenario: you turn on your furnace. It takes a few minutes for the fan to finally start that familiar “whirring” sound, since the furnace heat exchangers actually have to be warmed up by the burners, and the fan doesn’t start going until that occurs. Once you hear that whir, you are satisfied knowing that warm, comfortable air is about to come flowing through your vents. Other than this sound, you shouldn’t expect to hear much else coming from your furnace. But what if this isn’t the case? 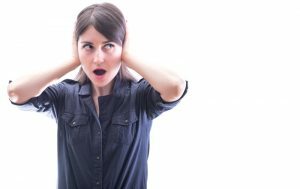 What if you hear unusual or loud sounds coming from the system itself, your ductwork, or your vents? Well, then it is time to call in the pros for heater repair in Oklahoma City, OK. In the meantime though, we’ve provided some insight below into what might be going on when you hear these particular noises. This is especially problematic in the case of a gas-powered system. Hearing a loud banging noise coming from a gas furnace is never a good thing at startup. That being said, if it’s something you hear pretty consistently when the heater is running and shutting down, it could actually have to do with the metal ductwork expanding and contracting with the temperature fluctuations—therefore not worrisome. But a loud banging at startup is absolutely a reason for concern. The reason may be because of something as simple as a dirty burner. But what happens is that dirt allows gas to build up, causing a sort of mini-explosion when the burners finally do ignite. While this may not cause damage right away, it creates strain the heat exchangers, which can eventually crack and allow dangerous gases to escape into your home. Any squealing you hear from a furnace or heating system can be the result of a lack of lubrication or a blower fan belt that’s worn out. This is an easy fix for most technicians, but that doesn’t mean you should wait on calling for repairs. If you let it go on for too long, the fan might stop working, which will stop the furnace from running when you need it the most. It’s always better to repair a heating problem sooner rather than later, to avoid a total system breakdown. If you hear a low rumbling coming from your heater, take note if it’s loudest when your right next to the unit. It is hard to determine exactly what the cause is without seeing it first hand, but we can tell you with some degree of confidence that your pilot flame is too low. Check the flame to ensure it’s blue rather than yellow or orange. Otherwise, a rumbling sound can mean there is a dangerous carbon monoxide leak. Be sure to shut off your system and call for help if you believe this to be the case. Finally, we don’t think a scraping sound, such as metal on metal, should ever be ignored in a furnace. What’s most likely happening is that the motor mount has come loose from its casing. In other words, it’s just what it sounds like—metal scraping on metal. This may not seem like such a big deal right now. But the damage that can result in the blower fan may be severe enough to require replacement, when otherwise it may only need quick repairs if scheduled quickly enough. Contact Comfort Incorporated today for reliable heating services!